A simple, efficient and economical form of sealing polyethylene bags. 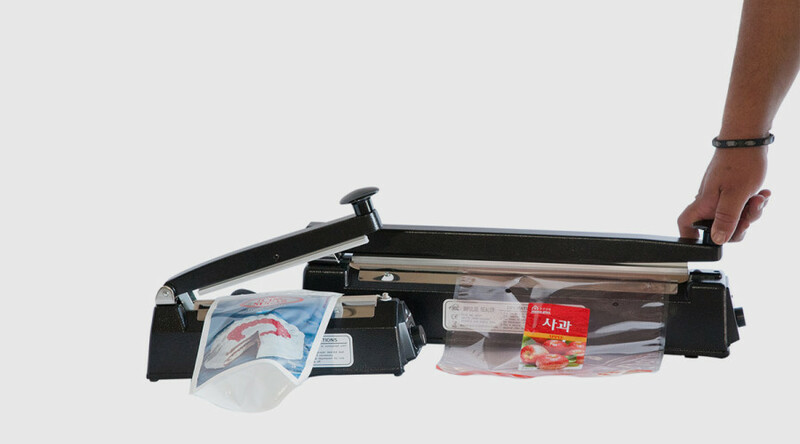 Our range of impulse heat sealing equipment comes with sealing capabilities from 100mm to 500mm. 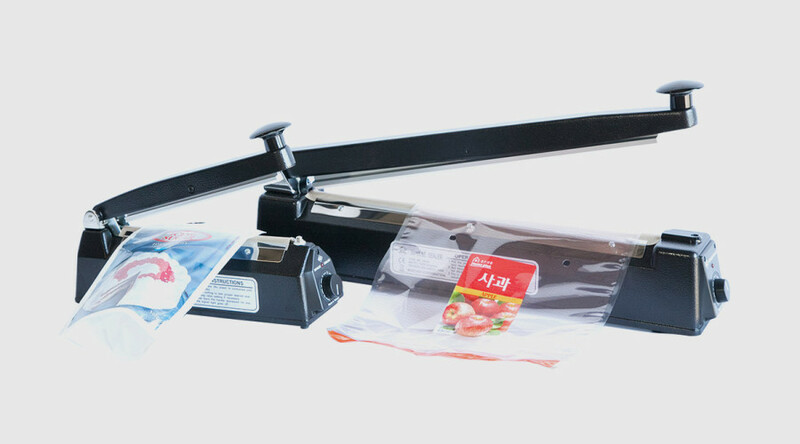 Hand operated impulse heat sealer, designed to deliver a 3mm seal across a range of sealing lengths from 200mm 300mm 400mm and 500mm length. Ideal for use with PE, PP, BOPP, Foil and laminated bags. Ideal for packaging foodstuffs, electronic components, spices, nuts and various other products in low volumes. We carry a full supply of spares for the MEC range of sealers. Beware of cheap imitations.